When ordinary Western people oppose Russia’s stand on various issues they are often unaware of the real situation because they think only of media stereotypes says the chair of the Upper House Committee for Foreign Affairs Konstantin Kosachev. 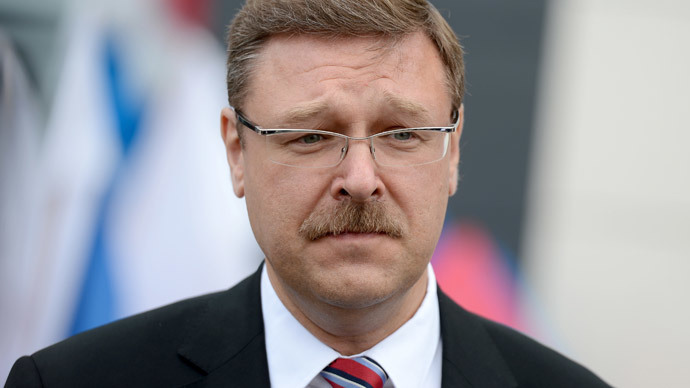 “The key problem lies in the fact that our opponents (and they try to attract more and more people into the standoff) are not actually opposing some real nation, people and values but instead the image portrayed in their own media,” Kosachev writes in an article published in the Russian government daily Rossiiskaya Gazeta. “I guess the mass media (in their broader definition that includes blogs and social networks) have never played such an important role in state affairs and relations between people as they do today,” the Russian senator stated. “Many people in Russia sometimes do not understand that people in Europe, the United States or Canada are convinced that Russia had committed an act of aggression against another country,” Kosachev wrote in the article. “It is us who will instantly remember the bombings of Belgrade, the fate of Yugoslavia and the Kosovo incident. There people believe in a different picture,” the senator noted. Among the typical myths circulated by Western mainstream media he listed “gigantic Russian armies in Donbass”, “referendum at gunpoint in Crimea,” and Moscow’s alleged desires to restore the USSR and to obtain control over Poland and the Baltic countries. “They almost believe that Russia is encircling the West – because its aircraft are registered in different places on the planet,” Kosachev joked. The situation when the public in different countries see completely different media coverage of the same events leads to a severe lack of understanding and growing alienation between Russia and the West, the Russian official stated. Kosachev added that any attempt to deliver a Russian point of view to a Western audience always encounters such a powerful response that it makes him suspect that those behind the campaign see the Russian mass media as a threat to their own. “We should first of all stop the ‘demonization race’, the inflating of the enemy image and swapping real nations and people with media monsters, that cause such horror that it can justify any measures, including military intervention,” the senator wrote. In late December last year Kosachev published a review of major events of 2014 on the Foreign Ministry’s web-site in which he said that Russian diplomatic efforts had thwarted plans for international isolation of the country. In the same article he called for the international community to unite and start urgent and coordinated action against the common enemy – terrorism.